HTC Vive is the Most immersive VR headsets and the most expensive option for the Virtual reality world. Why is this HTC Vive very expensive? The feature that experienced by the user with the bespoke handled controller not only provides Virtual environment experience it also provides the physical experience that you can walk around. The primary goal of HTC Vive is using HTC Vive For Virtual Reality Videos. Explaining about the HTC Vive is the biggest task who does not even know what is HTC Vive and how does it work? Imagine that you are watching a historical movie, in that when horses are coming towards the user, HTC Vive will provide you with the environment that you are in the place and you can feel the emotions, you can walk in the physical environment fighting in the battle. It’s an Unrevealed experience for the first time using the HTC Vive. For the past years we have seen Google cardboard, Samsung Gear VR, VR headsets are not comparable with HTC Vive, but only Oculus Rift is a real competitor to the HTC Vive. The consumer version of HTC Vive was released in April 2016. HTC Vive has specific key features like if you like to use HTC Vive you need a powerful Gaming PC’s to set up. It consists of two sensors for tracking and for connecting phones has inbuilt Bluetooth connection. It manufactured by the HTC company. HTC Vive has a front camera and one controller for each head. HTC Vive has 1200 x 1080 high-resolution quality pictures. HTC Vive an Immersive VR headset to view virtual reality videos and movies. It gives the ultimate experience compared to the other VR devices like Google Cardboard, Samsung Gear, and Oculus Rift. 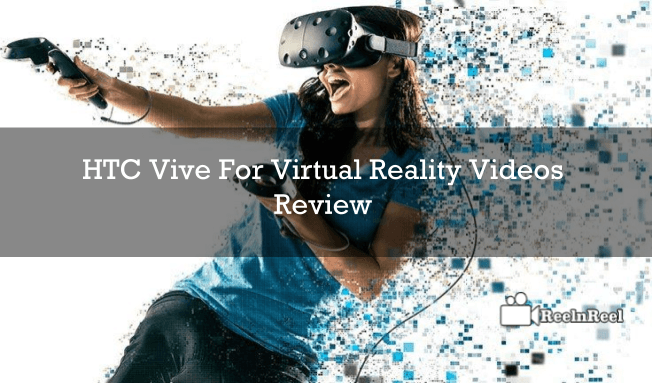 Here we have listed all pros and cons about HTC Vive.You can walk around and experience the surroundings with the special controllers, and this is the biggest strength of HTC Vive. You need to allocate some big space in your home, and it’s expensive compared to other VR devices. It is the best gaming, VR because you can change, you can walk through the game where you would like to play. You can get the best VR gaming PC. Let us go, through the design and built-in features of HTC Vive. Let’s discuss headset design, and it’s extremely comfortable to wear made with leather, form squeeze material, suitable for any skin type. It has given to fits, thin and wide depending on the shape of faces. It is black in color and in front sensors are fitted. These sensors work like tracking for location.The receiver headset has two adjustable controllers, and you can use it in some ways in a virtual reality world. It allows you to work directly with the objects in VR world. HTC Vive wired it is not wireless device. HTC Vive is incredible and immersively free moving Virtual Reality device. It has two bespoke handled controller VR with very good battery life . It has a huge collection of solid games are built in and you can walk through the Virtual Reality gaming world. No other Virtual Reality devices can beat HTC Vive. Only Oculus Rift is the competitor to the HTC Vive. HTC Vive is the most advanced system that has never launched before. It is now a wired headset, then HTC has announced officially that new add on with wireless technology and there is no compromise on quality of the product. HTC Vive has two base stations, one is attached to the wall and another to experience the 3D world. HTC Vive has developed a more comfortable headset that fits for everybody. It has an exciting feature you can connect this to the iphones and android phones to get alerts from HTC Vive devices. This is called as Vive phones services. It has 90HZ screen, and you can feel more realistic and with high resolution. HTC Vive is the Taiwanese company’s first virtual reality headset. HTC has launched a new Vive Business Edition for commercial business users. This is officially launched by Vive BE with some licenses and specific services for commercial use. HTC vive is now available as Vive BE for the VR workers. This Vive BE package comes with one VR headset, two motion controllers, 3 in 1 cable and 4 face cousins. This pack warranty has 12 months provided with customer support. HTC Vive technology is now implemented in small industries and startup business to give more awareness about the Virtual reality world. HTC Vive BE provides new business VR experience to the product and services like innovative ideas to the business world. This has given more experience to the business users to entrepreneurs new thoughts to Hollywood movie makers and video production process. Now it’s become easy you can shoot with 360 degree videos using drones and VR devices and people can view through VR headsets. WorldViz , is the company who delivers VR technology, software customers saved 90 percent cost in making physical models, like health care industries, building design and many more. It reduces the cost of producing and implementing. Nowadays we can see videos and movies everything in 4k resolution only possible with Virtual reality devices. HTC Vive is a new technology, launched in the VR world. Here we have discussed about the how do HTC Vive works? What is the exact meaning to the HTC Vive? And some pros and cons about HTC Vive. Finally, we have shortlisted how HTC Viva is useful in the business world. You can make use this information and start implementing on HTC Vive. How To Maintain Video Content Consistency When You Have No Time?